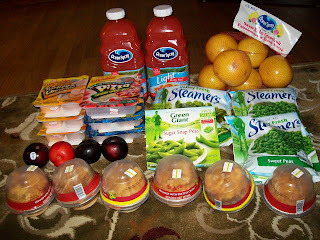 Frugal & Fabulous: What can you buy for $2.85? Stop & Shop edition! What can you buy for $2.85? Stop & Shop edition! 1 - Green Giant Boxed Vegetable (sale price $1.25) used $.60/1 IP doubled = $.05! 2 - Ocean Spray Grapefruit juices (sale price $2.00 ea) used two $.55/1 coupons doubled = $1.80 !